How do you know whether the problem within your property is with condensation or rising or penetrating damp? Water as a result of plumbing leaks, or defective seals around baths, showers etc. Nobody wants to live in a damp home and the important point is, correct diagnosis of the reason for the dampness within a property. So! How do you really know whether the damp you are experiencing in your property is caused by condensation? In many respects, condensation, as a form of damp within a building is more complex and more difficult to deal with than either rising or penetrating damp. With rising and penetrating damp, there are usually physical things that can be carried out to eradicate the damp and prevent further damp ingress in the future. Condensation can commonly be attributed to a lack of balance between heating and ventilation resulting in a rise in relative humidity. Air can hold more water vapour when it is warm, than it can when it is cold. When warm air is cooled, such as when the heating system is switched off at night, it will deposit the water, which it can no longer retain, as condensation on a cold surface. All air contains water vapour of varying quantities. The lower the air temperature means the smaller the maximum possible capacity for vapour. When air is cooled, relative humidity increases, until at a particular temperature, called the dew point, the air becomes saturated. Further cooling below the dew point will induce condensation of the excess water vapour. Condensation may occur at any height on almost any cool surface. In its less serious form, condensation may “steam up” windows and mirrors. 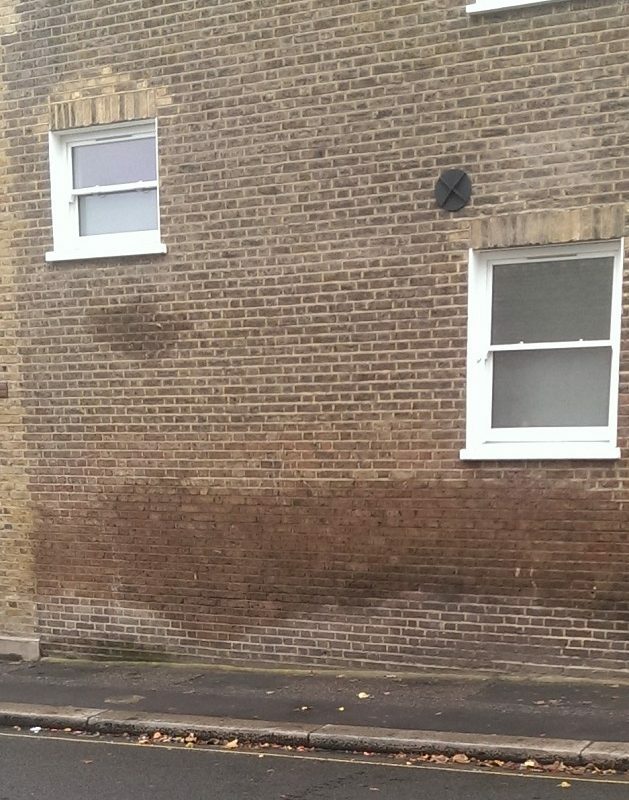 In more severe cases, it can be absorbed by surface wall finishes and underlying plaster causing dampness although the underlying brickwork or masonry will normally be of lower moisture content. Is there a general feeling of higher humidity within the property? On surfaces which are “damp” is there visible water, or when you touch the surfaces, do the palms of your hands become wet? Is there evidence of mould growth on the surfaces of walls, skirting boards, around window frames etc.? Is there evidence of mould growth forming on fabrics in the property such as the edges of carpets, the backs of furniture which are very close to walls, shoes and other items of clothing stored in wardrobes and cupboards? 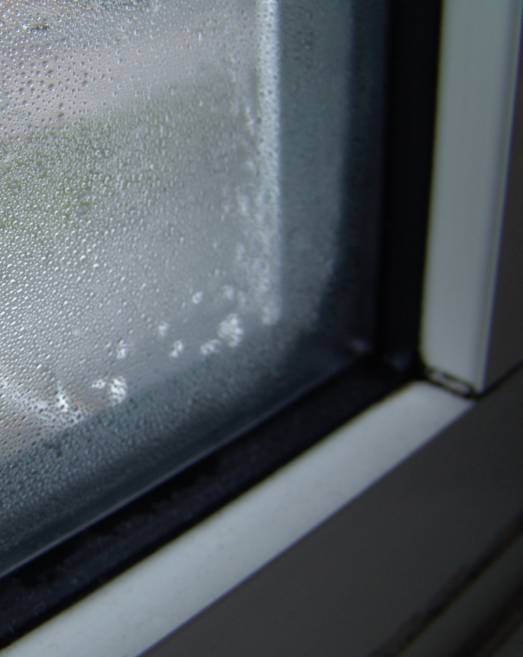 When you wake in the mornings, do you notice high levels of moisture on the insides of windows? Is there a noticeable “musty” odour within the property, or in localised areas in the property? Do clothes, furnishings etc. feel damp to touch? If any of the above apply to you, or your property, then there is a significant chance that the dampness you are experiencing is a result of condensation occurring. As we stated earlier, condensation issues are often more complex and more difficult to deal with than what may be straightforward rising, or penetrating dampness. However, the problems can be addressed in a number of ways; some of which may be lifestyle changes, along with addressing the balance of ventilation and air circulation/extraction with the use of specialised condensation control units. If you believe you may have issues with condensation, or other forms of damp, it is important that they are assessed by qualified surveyors, who will be able to diagnose the problem properly and specify the correct remedial options. If we may be of assistance, please do not hesitate to contact us.